THERE has been a lot of talk since 2008 about electoral reforms. I have received many questions about what exactly this means and have been asked to break it down to into very simple, digestible terms. Interestingly of the persons who asked include a 78-year-old grandfather and veteran who lived through the war of liberation and my 12 year old child. They both independently asked me to keep it very simple, so that they could understand “what the fuss is all about”. Other enquirers wanted to know what the opposition parties want and what they are vociferously calling for. As far as this goes, there is no perfect electoral system or democracy in the world. The drive for improvement in the electoral systems of a country is an ever ongoing fight in all democracies worldwide, including even the biggest and most experienced like the United States and United Kingdom. Since timeless revolutionary events like the adoption of the Magna Carta in England in the 11th Century or the French Revolution in the 18th Century or the Chimurenga uprisings in the 19th and 20th centuries, depending on the geography and history of the particular nation under discussion, there is a never-ending agitation by various political interest groups and individuals in that country towards a more accountable and effective electoral process that seeks to improve electoral systems to achieve perfect, but illusionary democracy principles and practices so that the people’s wishes are always followed and respected in governance issues. Agitating for electoral reforms mostly includes improving voting systems, such as monitoring vote counting procedures, eligibility of voters and political parties and candidates, drawing electoral boundaries that make up constituencies, ballot design and voting equipment, the safety of voters and election workers, mitigating against electoral fraud like bribery of officials, coercion and avoiding conflict of interest, financing of candidates and campaigns and election monitoring and various rules and procedures and codes of conduct for political parties and candidates. These issues are universal and are by no means restricted and confined to the Zimbabwean situation. The concerns are the same worldwide and legitimate, as in the sage words of the very infamous Professor Jonathan Moyo, no ruling political party ever reforms itself out of power. Getting electoral reforms is an ongoing battle against the political establishment, because the ruling party will be trying to retain power, sometimes at all costs while opposition parties will be trying to fight at all costs to get into office and attain political power. Other electoral reforms include the working on the factors that affect voters and voter turn out and participation. These pertinent issues must be resolved and ironed out, because the entire democratic philosophy hinges on voter freedom and willing participation. All Zimbabweans are privileged to enjoy guaranteed political rights, because they are enshrined in the Constitution. It is easy to take democracy and political rights for granted, but when they are specifically recognised and guaranteed in a country’s constitution it is a boon for democracy. At least political parties and various interest groups and individuals can rely on the Constitution to mount challenges in the Constitutional Court when they want to affirm their rights if they have been infringed. Sections 67 of the Constitution guarantees everyone the right to free and fair and regular elections for any elective public office established in terms of this Constitution or any other electoral law and the right to make electoral choices freely. So the electoral reforms sought always have to be in tune with ensuring and enforcing these stated political rights. For years in Zimbabwe, even before independence there have been charges that the political playing field was not level and is heavily tilted in favour of the ruling party. Young people and other enthusiastic new entrants into the political dynamics in our country may feel that the fight for electoral reforms is a new thing, but it is not. Even Zanu PF was once an opposition political party and for many years until the late 1970’s when it attained political power, it fought for the very same causes that current opposition political parties are fighting for today. 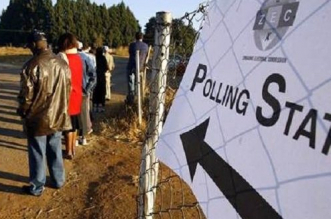 Some of the opposition political parties believe they are being shortchanged by the Zimbabwe Electoral Commission (Zec). They are on record accusing it of inciting violence and of being impartial and biased towards the ruling party Zanu PF. The impartiality of Zec is their biggest concern and needs reform. Other factors lined up for reform include media reforms, so that all political parties big or small can enjoy the same media coverage by the ZBC the State broadcaster, as they believe (which belief is not unfounded) that the coverage is heavily skewed towards Zanu (PF). One only has to watch any ZBC-TV news bulletin to be convinced. Things have somewhat improved since the events of November 2017 which saw the removal of the iron tentacles of the former president Robert Mugabe, but still a lot of things need improvement for the cause of expanding the democratic space. Other electoral reforms being agitated for include quotas for gender inclusivity by political parties, repeal of the prohibition of foreign funding for voter education programmes, the Electoral Court to have more powers, including being empowered to examine contents of ballots and election material, and to include cases brought before the High Court. Cases from the 2005 election are still pending. There should also be unequivocal penalties stated for using hate and provocative speech and violence during elections. The printing of ballot papers has been one of the thorniest issues, where opposition parties continually allege that ballot papers is where most of the rigging takes place. They allege markings put by voters on the ballot paper can shift around and settle on another candidate to give a manipulated result. Reformists have called for reforms to involve all participating political parties in every process at every stage of production of ballot papers from the tender selection process to observing the actual printing process. Very serious concerns have been raised concerning the voters’ roll and its publication. The voter registration exercise is alleged to be unfair and biased towards the party in power. The major opposition political grouping, MDC-Alliance, has threatened to pull out of the July 30 elections in order to force the reforms before elections. It also remains to be seen if it will carry out its threat to boycott the elections if the reforms are not implemented.